In celebration of reaching 1000 followers I will be hosting a week long of giveaways. Each day I will feature a new company and will giveaway a great item that you will love. 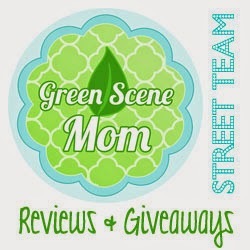 Today's review & giveaway is from Baby Legs. They carry all of the needs for your child's feet and legs. I was sent a great grab bag from them. The first product I want to talk about is their Baby socks that come with 2 pairs and retail for $12. I do not see this print on their site anymore but it is in the name fruit punch. These are in size 0-12 months and are a great knee high sock. They have the gripper on the bottom so they do not fall down. They have the cutest prints and what mom wouldn't love them. Next is their Newborn Leg Warmers in the lil hearts and flowers print and they retail for $10.00. These are made with organic cotton and come in many different styles and they also have many cute styles for boys. These are great for diaper changes to keep your babies legs warm when they are wearing their gowns. A parade of green and pink floral charms dance in between multi-colored stripes on these playful newborn legwarmers and arm warmers. A white puckered cuff adds an extra stretch for chubby legs. Newborn sizes fit most babies 0-3 months. The is the next pair of Newborn Legwarmers in the Lil Super star print and it retails for $10.00. Your little one will be ready to shine wearing our new SuperStar newborn legwarmers and arm warmers. A brilliant combination for any outfit! Newborn sizes fit most babies 0-3 months. Lastly is their standard size leg warmers in the print Gemstone and retails for $12 but is on sale right now for $10. Your daughter is as precious as a rare gem, so show her off in these polka dot Gemstone legwarmers and arm warmers. These are one size fits most. They look really cute on the legs and can really put together an outfit. If you are a cloth diaper mom all you need is a shirt and pair of baby legs to make your outfit. If you want to see a size comparison of the regular size and newborn here you go. One lucky TTGG mom will win a Baby Legs grab bag. Make sure to friend them on Facebook.